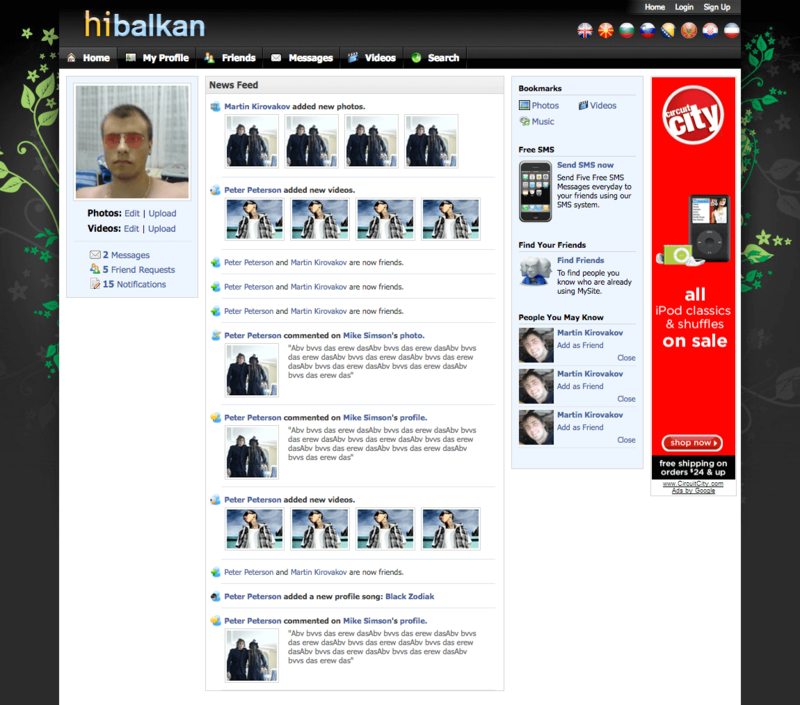 HiBalkan was one of the earliest social networks to hit the internet prior to most of them being devoured by Facebook. Its main target audience were people living on the Balkans and it reached approximately 50.000 registered users within a year after being released. The design was considered beautiful at the time and the site had other features that were considered very advanced at the time: a(n) (ajax) live-chat function – before Facebook had one, and a free SMS function which resulted in SMS-messages being sent to over 100.000 unique phone numbers within a year. This team that built this site consisted only of three people, my part of the job was design (including HTML/CSS), administration, UI/UX, marketing & SEO. The project was put to rest in 2013. 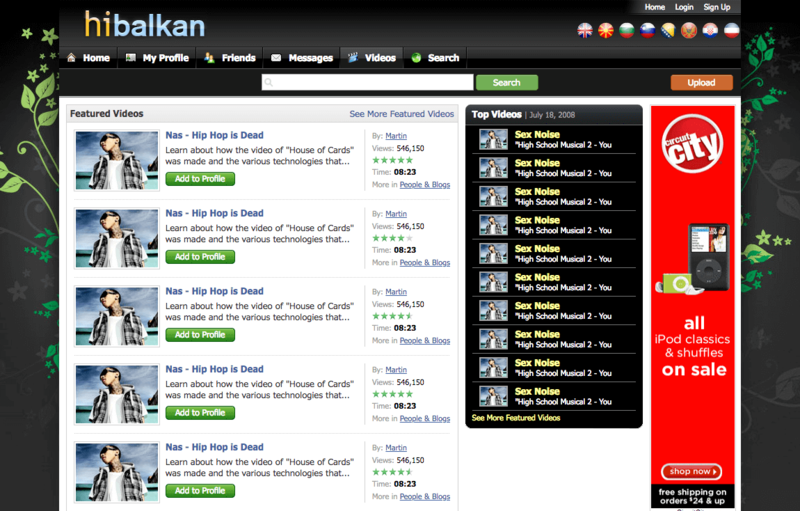 The late 2008-design & UI that never came to be. This version of the site never saw the light of day after the project became dead-in-the-water due to various factors.